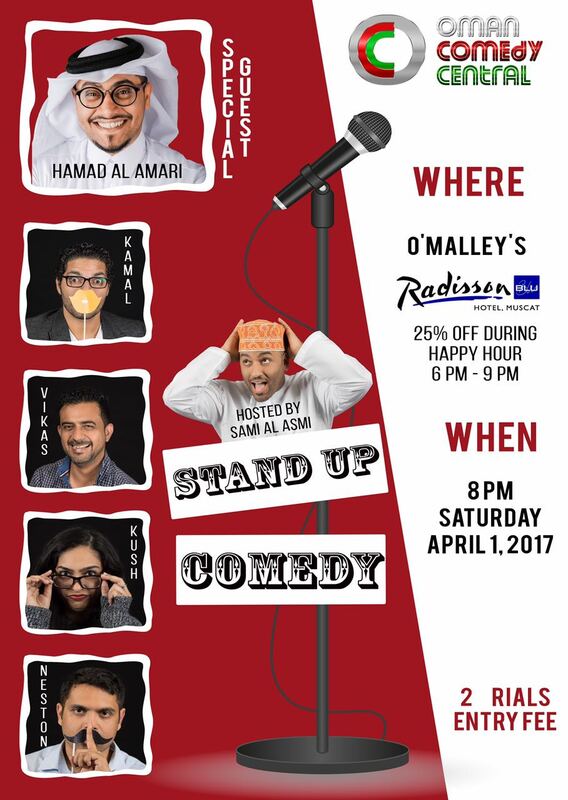 Tonight from 8pm at O'Malley's Irish bar in the basement of The Radisson in Khuwair is the Oman Comedy Centrals' latest stand up comedy show. Personally I'm a fan of stand up comedy, its fun to laugh, but I've had some hit and miss experiences at comedy shows in Muscat in the past. This time with Sami hosting things, I think it'll be a good night, and hey, its only RO 2 to go, and happy hour at the bar is 25% off from 6-9pm. So if you were looking for something to do tonight, why not check this out? If should be fun!